Graphene, a 2D sheet of carbon atoms arranged in a chicken wire pattern, is a fascinating material that boasts many exciting properties like mechanical strength, thermal and electrical conductivity, intriguing optical properties and more. Graphene is the focus of vigorous R&D, but its relatively high price is a hindrance at the moment. Graphene oxide is a form of graphene that includes oxygen functional groups, and has interesting properties that can be different than those of graphene. By reducing graphene oxide, these oxidized functional groups are removed, to obtain a graphene material. This graphene material is called reduced graphene oxide, often abbreviated to rGO. 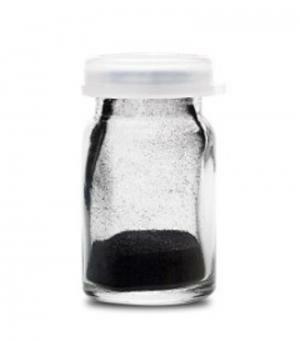 rGO can also be obtained from graphite oxide, a material made of many layers of graphene oxide, after a series of reduction to graphene oxide and then to rGO. Since effective yet inexpensive ways to make graphene (or closely related materials, such as rGO) are being intensively sought for, the reduction of graphene oxide (or graphite oxide) to rGO is popular and attractive. Several methods of reduction into rGO exist, and are rather cost-efficient and simple. 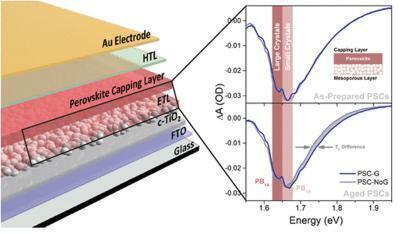 While rGO is indeed a form of graphene with properties similar to that of graphene (good conductive properties etc. ), rGO usually contains more defects and is of lesser quality than graphene produced directly from graphite. Reduced graphene oxide (rGO) contains residual oxygen and other heteroatoms, as well as structural defects. Despite rGO’s less-than-perfect resemblance to pristine graphene, it is still an appealing material that can definitely be sufficient in quality for various applications, but for more attractive pricing and manufacturing processes. Reduced graphene oxide can be used (depending on the specific material’s quality) for the same various applications suitable for graphene use, like composite materials, conductive inks, sensors and more. Reduced GO is often a natural and understandable choice for applications that call for large amounts of material due to the relative ease in creating sufficient quantities of graphene in a relatively low cost. The process of reducing graphene oxide to produce reduced graphene oxide is extremely important as it has a large impact on the quality of the rGO produced, and therefore will determine how close rGO will come, in terms of structure and properties, to pristine graphene. A number of processes exist for the reduction of GO, based on chemical, thermal or electrochemical approaches. Some of these techniques are able to produce very high quality rGO, similar to high-quality graphene, but can be complex, expensive or time consuming to carry out. Once reduced graphene oxide has been produced, there are ways to functionalize the material for specific use in different applications. By treating rGO with various chemicals or by creating new compounds by combining rGO with other two-dimensional materials, it’s possible to enhance the properties of the compound to suit commercial applications. In some applications, the reduction of the GO to rGO is performed as part of the device manufacturing process. For example, a process could start with GO, mix it with a material to create a composite, and reduce the GO into rGO as part of the composite creation process or afterwards. 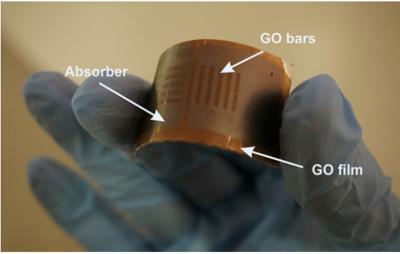 In general, it can be said that rGO is suitable for the same sorts of applications as graphene, as the properties of these materials are similar, albeit normally less impressive at the rGO end. As was said before, the properties of rGO can vary depending on the method of preparation and the resulting morphology and chemistry of the specific rGO. Reduced GO can be used for many applications, among these are: energy storage, composite materials, field effect transistors and more. Today we published a new article, an introduction to reduced graphene oxide. Our article discusses the material properties, rGO production and potential application. Researchers from Southeast University and Suzhou University of Science and Technology in China have combined the properties of graphene and paraffin to create a novel material that exhibits controllable, reversible transition between a slippery and a rough surface. They fabricated a graphene-based film with a porous surface filled with paraffin that allows droplets of water and other fluids to stick or slide on demand, while following complicated pathways. The research team used near-infrared (NIR) laser irradiation to control the surface behavior of the film and form patterned flow pathways on it. Their work can simplify the manipulation of liquids inside microplates that are extensively used for bioassays in biomedical and clinical laboratories; it may also prove to be a valuable tool for blood grouping diagnosis.